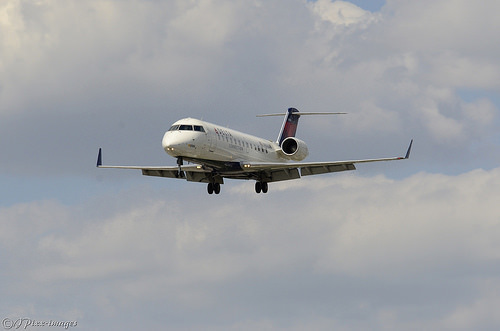 Delta Private Jets, a subsidiary of Delta Airlines, allows travelers the opportunity to fly on its private jet fleet. How much do Delta private jets cost per hour? The official Delta website, through its private jet program, noted the rates will depend on the size of the jet you wanted to reserve as the larger the jet will be, the more you should be prepared to pay. The membership program you want to join will affect the price as well. 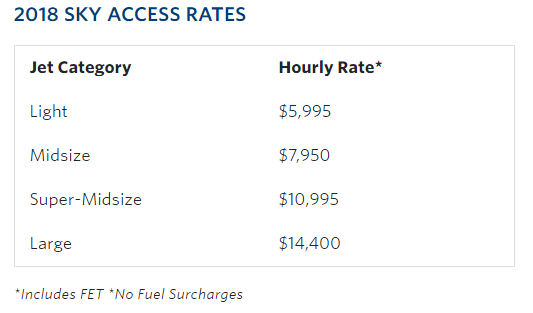 With that in mind, if you were to choose the Sky Access program, which offers empty leg access and fixed hourly flying, a smaller jet will cost close to $5,995 an hour, whereas a larger jet will cost closer to $14,400 an hour. These were the rates at the time of this publishing and are going to change yearly, but when you sign up for a yearly membership, you will lock into the rates at the time of sign up. Aside from the hourly rate, you will also need to pay an annual fee, which, at the time of this publishing, was $8,500 for the year, and like the hourly rates, this fee will change annually as well, but each rate after, according to this membership program page, will be about $6,000. We highly recommend you visit the official website’s pricing page to see what the current prices are as well as to gather more information if you are interested in signing up for the service. For the Delta private jet cards program, the company notes the card levels will begin at $100,000 and no annual dues or initiation fees will apply. With this option, flyers will pay a fixed hourly rate based on the deposit amount. ThePointsGuy.com notes the jet card can be purchased in $100,000, $250,000 and $500,000 increments, locking the rates for up to two years. As for the hourly rates, this will all depend on the size of the aircraft, as we mentioned, and the flight hours. Delta Private Jet Cards – The private jet cards program offers the opportunity to fly empty leg routes and can be used on commercial travel as well, with privileges, including SkyMiles Diamond Medallion® status, immediately choice benefits, opportunity to earn SkyBonus points and no ownership commitment. Depending on the deposit amount placed initially, these members will pay a fixed hourly rate and can book in as little as 10 hours out. Other perks include a rollover or refund balance option, membership experience opportunities and as few as 10 peak days. Sky Access – The Sky Access program, which offers empty leg access and fixed hourly flying, will offer empty legs from Delta’s private fleet, guaranteed jet travel via a fixed hourly rate, a 20 percent discount on select Delta fares and a complete online experience ranging from travel bookings to purchase. The empty legs, which are scheduled without passengers to reposition the aircraft, can offer last-minute trips at no fees for Sky Access members. There are no per leg costs, no limit on the quantity of booked empty legs and members can book the entire aircraft, not just an individual seat. To demo how the system works, Delta allows you to do so here. As of this publishing, Delta has 70+ WiFi-equipped aircrafts which are strategically positioned in the United States. The company offers four jet size category sizes: light, midsize, super-midsize and large. In some cases, Elite Delta members can often upgrade to an empty leg for about $300 to $800; however, to take advantage of this opportunity, Delta will send you an email about 24 hours before your flight.